Fig Tree Books LLC, 9781941493045, 389pp. The Book of Stone examines the evolution of the terrorist mentality and the complexities of religious extremism, as well as how easily a vulnerable mind can be exploited for dark purposes. Matthew Stone has inherited a troubling legacy: a gangster grandfather and a distant father--who is also a disgraced judge. After his father's death, Matthew is a young man alone. He turns to his father's beloved books for comfort, perceiving within them guidance that leads him to connect with a group of religious extremists. As Matthew immerses himself in this unfamiliar world, the FBI seeks his assistance to foil the group's violent plot. Caught between these powerful forces, haunted by losses past and present, and desperate for redemption, Matthew charts a course of increasing peril--for himself and for everyone around him. 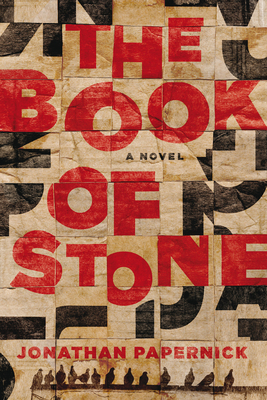 Lyrical and incendiary, The Book of Stone is a masterfully crafted novel that reveals the ambiguities of "good" and "evil." Dara Horn calls Papernick "an utterly original writer," and The New York Times writes, "There is a muscular certainty to the best of Papernick's stories." Papernick has taught fiction writing at Pratt Institute, Brandeis University, Bar Ilan University, and GrubStreet. A Toronto native, Papernick lives with his wife and two sons outside Boston, where he is a Senior Writer-in-Residence at a Boston-area college. “Jonathan Papernick’s THE BOOK OF STONE is a psychological thriller with a complex soul. In the tradition of writers like Robert Stone and Ian McEwan, Papernick describes the quest to save oneself by redeeming history, and the perilous consequences that arise from confusing the two tasks. It’s a harrowing, distinguished book.” — Steve Stern, author of THE WEDDING JESTER and THE ANGEL OF FORGETFULNESS.